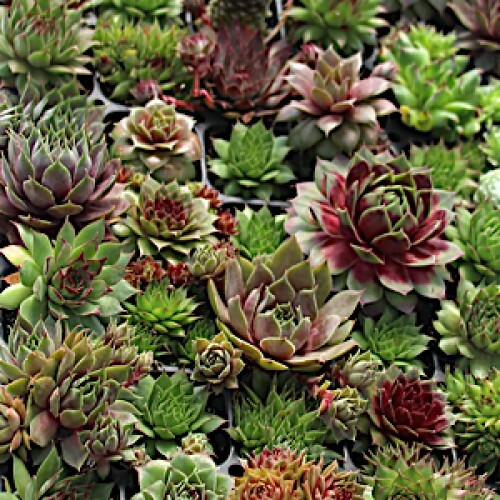 A full tray grown from vegetative cuttings, representing the best of the Creek Hill stock. A mixed bag of green, tan and red colors in small and large varieties. A great way to get variety with just a few trays.